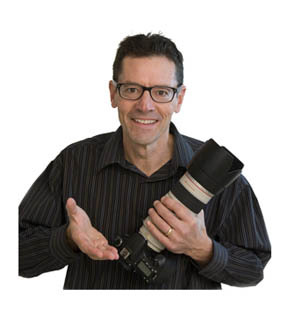 The Better Digital Photography Tips website is a free resource for you to dive into anytime you want. Unlike your own human photography mentor, who is not always available, this photography tips website is open 24 hours every day, 7 days each week, and 365 days a year. This site will help you avoid some of the mistakes and pitfalls that plague new photographers. You and I, we're very fortunate to be able to use some advanced camera equipment and software to create some really stunning photography. You can use your unique viewpoint, add in some tips form this site, use the right equipment and you're well on your way to taking photos you can brag about. who runs the Better-digital-photo-tips.com website? Shockingingly, it's not a staff of professional writers, internet marketers, or website designers. It's mostly just me, Bruce,the camera geek. I plastered my photo all over the website, so you could see I am a real photographer, not a professional web guy. I do have a confession, though. I started the website with this crazy idea that I could make money by blogging about photography. Oh boy! Ever have one of those sinking moments when you found out you were in way over your head? Well, let's just say it's been an interesting journey, but more on that later. First, why should you listen to what I have to say about photography and camera gear? am i qualified to post about digital photography techniques and equipment? Used my first camera when I was 10 years old in 1969. Have likely personally used over 2 dozen different cameras over the last 48 years. Had a black and white darkroom in my basement with all the chemicals, trays, and an enlarger by the time I was in middle school. Expanded it to a fully equipped color darkroom throughout the high school and college years. Graduated with honors from a highly ranked photography college with a bachelor of sciences degree in professional photography. Worked for a portrait company for 9 years. Opened my own portrait photography business in 1994. Started the photography blog in 2007 and now I run workshops on digital photography. This is the place you can learn a lot and improve your photography dramatically. You can learn to take jaw-dropping photographs, no really you can! Will it happen instantly? Realistically, no. It will take a little practice. What's the magic formula? It's simple math. Add 3 components together and your percentage of successful photos will multiply. Grab a little photography knowledge from watching and reading. Use the right camera equipment. Add in your own perspective and vision. My mission for the website is to inspire people with the magic of digital photography. Yeah, you read that right my friend. I said the magic of digital photography. You see, it's like this. My photography started in a darkroom with a yellow safelight, negatives, chemicals, and an enlarger. It was a serious undertaking. Digital photography is so convenient; to me, it truly is magical. You get instant feedback, you can modify it instantly, and you can share your photographs with the entire world instantly and for free. My own personal mission is to inspire you to use photography to have a positive impact on the world. wow! look how many people visit the digital photography tips website. During the first month of the blog, it had 21 visitors. The articles were poorly written and the website design was not attractive, but I was having fun and learning. It’s a familiar story and it usually goes like this. You read about a business opportunity, it looks good, and you imagine yourself making boatloads of cash. So you give it the old college try and you find out the hard way that's it's not working. News flash: it ain't quite that simple and it ain't easy either. The way the website builder was presented, it sounded like I could just write a bunch of articles, do a little promotion and I could build a business income based on all my knowledge and experiences with photography. So, having no talent or experience with writing, I wrote subpar article after article and watched the web traffic go nowhere. Well, if at first you don't succeed, then you try, try again. Now here's the good news. I've learned to put you, the curious digital photographer first. I need to put a lot of effort into each and every article. That is to say put effort into the quality, not the quantity of articles. 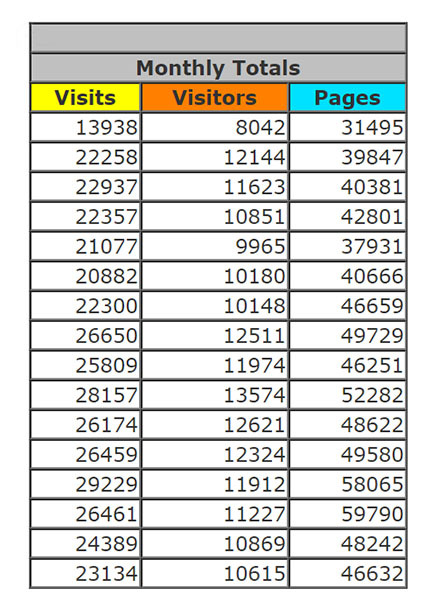 Traffic from visitors looking for information on digital photography techniques, cameras, lenses, and accessories will come if I put my efforts into providing the highest quality content that truly benefits you. So, that's what I did a few years ago. I started updating the posts. Digital photography is continuously evolving and this website is too. I've added more valuable tips, and included more photographs that help you understanding the topic more deeply. And it's really working. Whoot whoot! It's a lot of work to provide fresh new posts as well as improve on some of the older articles. I'm like you-busy with lots of activities, so I can use all the help I get. Here's how you can help. If you find something that comes up short in your expectations, or you have a specific question you need answered, you can let me know here and I can write more about that topic for you. If you'd like to post an article to this website relating to digital photography you can learn how to do that here. There's a third way you can help. I receive a little income when you make a purchase-usually photography related products-after clicking on one of the links to a photography retailer. Those links are called affiliate links. If you're considering ordering something from a retailer, please use one of those links. As an example, see this search box for Amazon? If you use it, and are shopping for something, and decide to buy ANYTHING, I get a little financial thank you from Amazon. It costs you nothing and it won't earn me boatloads of cash, but every little bit helps and I do appreciate it. Some of the other posts on this site have other affiliate links to other sellers like ebay, Adorama, and DPS. It works the same way. If you use any one of them it costs you nothing, but it helps me pay for this website. Shoot. Shoot. Shoot. Like any other profession or hobby, the more you participate, then the more you will learn. You can only get so much benefit from reading my rantings and the tips on photography from other sources. The single best way to improve is to practice, but that doesn't mean it has to be boring. Unlike practicing good dental hygiene by brushing regularly, you can make digital photography fun. I guarantee you when you see an amazing photograph taken by a professional photographer, it was preceded by hundreds or thousands of other not so successful photographs first. And one more thing. Thanks for taking the time to read this far on the about page. p.s. You can also help by sharing an article or any photo on this site by "socializing" it on Facebook, Pinterest, Twitter or any other social media, email, or webpage. As I close this page, like many of the posts on the website I give you some sound advice: Watch less TV and shoot more photos!